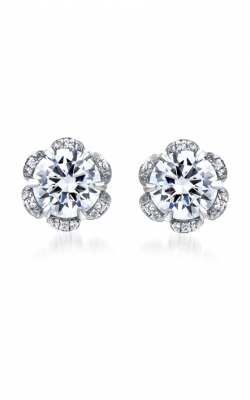 The A. Jaffe Collection at BENARI JEWELERS located in Exton and Newtown Square! 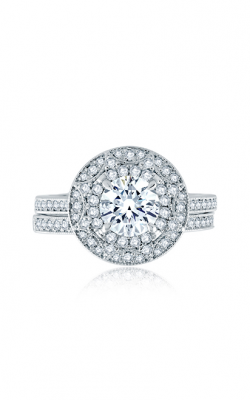 Since 1892, the master jewelry makers of A. Jaffe have been making some of the most beautiful and well-made diamond engagement rings, men's and women's wedding bands, as well as one-of-a-kind earrings, necklaces, and other fashion jewelry pieces. Specially built to bring more than a lifetime of romance and elegance to their wearers, every A. Jaffe designer jewelry item is the unique combination of tried-and-true construction techniques with state-of-the-art jewelry making innovations. As a part of the continued legacy of fine jewelry craftsmanship and style, BENARI JEWELERS, located in Exton and Newtown, Pennsylvania, is honored to be an authorized A. Jaffe retailer, and to present to their customers some of the most popular models, pieces, and collections that the brand has to offer. Why Buy A. Jaffe From BENARI JEWELERS? For over 50 years, the staff at the family-owned and operated BENARI JEWELERS has been bringing their Philadelphia, Malvern, Downingtown, West Chester, and King of Prussia area customers the absolute best in wedding bands, engagement rings, Swiss-made watches, and fine jewelry items possible. With two wonderful showrooms, located in Exton and Newtown Square, Pennsylvania, BENARI JEWELERS is the Delaware Valley source to find a wonderful inventory of popular jewelry designer brands that include Rolex, Forevermark, Cartier, Hearts on Fire, Breitling, Tacori, and an ever-expanding selection of others. In addition to these designer brands, the friendly BENARI JEWELERS' staff happily extends a number of services such as, military discounts, affordable financing plans, a 30-day exchange policy, comprehensive jewelry and watch repairs, and a lifetime service guarantee on all BENARI JEWELERS purchases. Honored to be an authorized retailer of A. Jaffe, BENARI JEWELERS offers its customers an unbeatable selection of some of the most popular collections of A. Jaffe. Popular A. Jaffe engagement ring collection available include, the vintage-inspired Art Deco collection, the sophisticated Classics collection, the understated Seasons of Love collection, and the Metropolitan engagement ring collection. 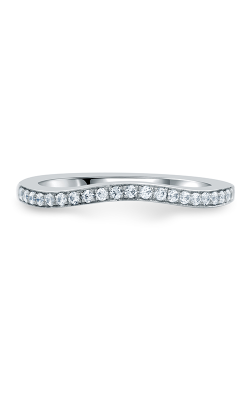 Additionally, for customers on the lookout for the ideal wedding band, BENARI JEWELERS now offers the A. Jaffe wedding bands of the ladies' Quilted collection and Classic collections, in addition to the men's wedding brands of A. Jaffe's Art Deco, Classic, and stylish Metropolitan collections. Further, perfect as a gift for yourself or a loved one, on display in both of BENARI JEWELERS' palatal showrooms are the wonderfully diamond-adorned, white gold and rose gold necklaces and earrings that comprise A. Jaffe's Seasons of Love, Art Deco, and Classics fine jewelry collections.